We have the first official outing for a smart Pathfork gelding in the form of LOOK TO THE SKY, on Tuesday 29th January 2019. 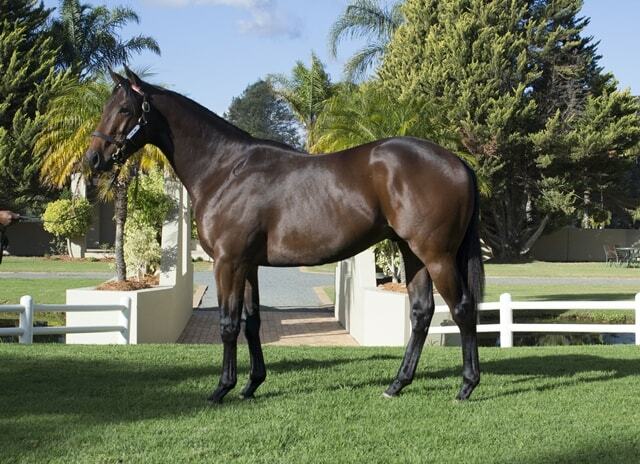 CHIEF OFFICER, a 2018 CTS Ready To Run Sale graduate, has a barrier trial at Scottsville on Wednesday 30th January and WINTER TWILIGHT has a nice chance in the first race at the Vaal on Thursday 31st January 2019. See more about their respective chances here. A product of the 2018 KZN Yearling Sale, we are excited to see this geldings debut on Tuesday. He put up a very encouraging grass gallop a few weeks ago, in a time that could be deemed worthy of threatening the winners box first time out. However, being a two year old it is difficult to be confident about him repeating that in his first official start, in a bigger field of horses. With that said, we can expect an encouraging first outing and we will be looking for him to make a good account of himself. He has put a few smart workouts leading up to this race and we can expect a solid gallop from him first time out. We will be looking for him to settle early on and finish off strongly. This run will no doubt bring him on a lot for his first official outing in a few weeks’ time. He put up an encouraging performance a week ago with the blinkers on, finishing in 4th place, just 2 lengths off the winner. That was over his favoured five furlong trip and we can expect an even bigger run in this relatively weak Workriders Maiden Plate. He is travelling a lot better in the early parts of his races and with that in mind, we expect him to be right in the shake up when it matters most. He provides a nice each way chance with particularly strong place claims. Winning Form Comment: Smart last run with blinkers a week ago, strong claims.